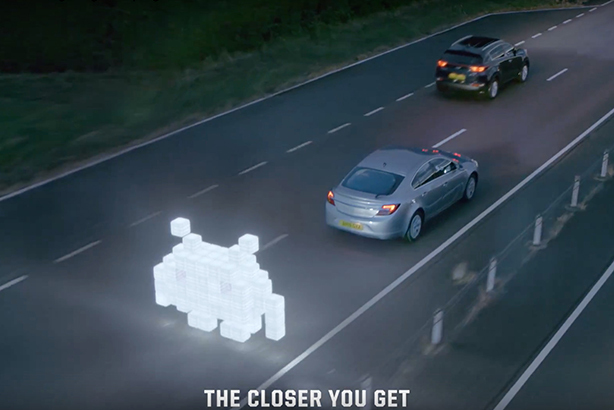 The government-owned company has launched a campaign referencing the iconic arcade game Space Invaders in a bid to drive down the number of motorists killed or seriously injured as a result of tailgating. Imagery and sound effects from the game has been incorporated into campaign materials telling drivers: "Don’t be a Space Invader. Stay safe, stay back." The campaign was launched on Monday, with the release of statistics showing that tailgating was a contributory factor in 112 deaths and serious injuries on motorways and major roads in 2016. One in eight road crash victims are the result of people driving too closely to the vehicle in front. The campaign made headline news yesterday, with coverage on BBC, ITV and Sky news, as well as the Daily Telegraph, Daily Mail, The Sun and The Times, and is already Highways England’s most widely shared and successful campaign to date. A survey by Highways England reveals that tailgating is the biggest single complaint that motorists have about other drivers. Nearly nine out of 10 people say they have either been tailgated or seen it happening. And more than a quarter of drivers have admitted to tailgating. Commuters are the primary target audience of the campaign, which runs until the end of October and aims to result in a reduction in deaths and serious injuries on the roads. The secondary target audience is the wider road-using public, including all drivers and passengers. Drivers should allow at least a two-second gap (which should be doubled on wet roads) between their vehicle and the car in front. People who are being tailgated should continue to drive normally and allow people to overtake, according to Highways England. 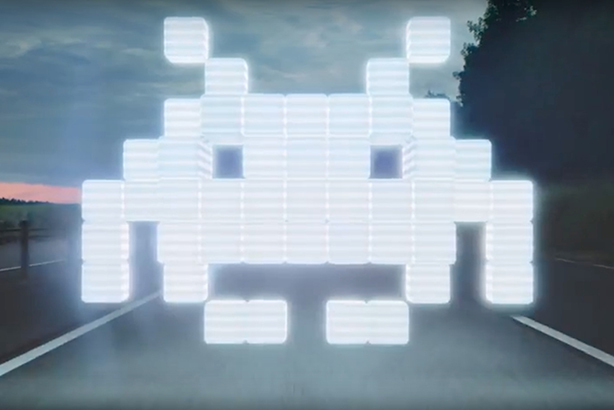 A car is pursued by a giant alien from the 40-year-old arcade game in a short film developed by Adam & Eve/DDB for the campaign. It will be shown during ad slots within catch-up and on-demand TV services, as well as in gyms and at events throughout the campaign period. A tweet posted by Highways England on Monday has already resulted in more than 40,000 views of the film, with hundreds of likes and retweets. A film featuring short interviews with experts is also being used to promote the campaign on social media. In addition to a mix of paid-for advertising and free editorial coverage, free bumper stickers have been created – there have been more than 50,000 orders for the stickers since the campaign launched. National Express, one of the campaign partners, is covering the back of 12 of its coaches with the campaign message, with extra-large campaign stickers being displayed on a further 500 coaches. 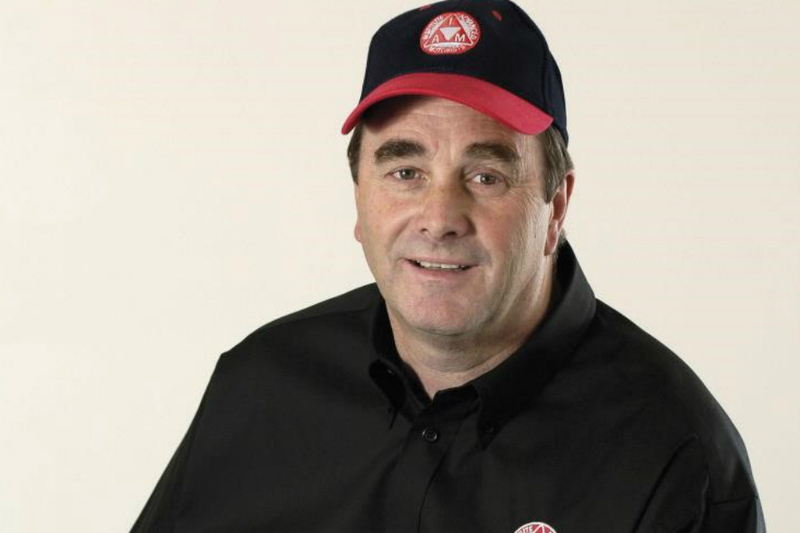 Other supporters of the campaign include the National Police Chiefs Council, road-safety body Brake, the Institute for Advanced Motorists, motor insurer Thatcham, and former Formula 1 world champion racing driver Nigel Mansell (pictured below). 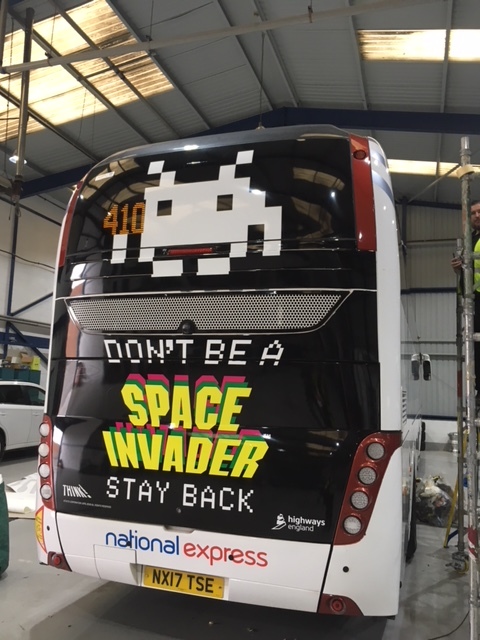 Alison Holliday, head of marketing at Highways England, said: "By combining official and proven driving advice with a highly memorable brand, Space Invaders, we are seeking to reposition tailgating from being a perceived irritation to a behaviour that is seen for what it is in road safety terms – akin to drink-driving and using a mobile phone behind the wheel."